Slowly but surely, the all-new 2017 G30 BMW 5-Series is making its debut on most important parts of the world, and after seeing it announced in Europe, the high-end model is now preparing for a final debut in Australia, next March. As expected, the model won`t come cheap in all available variants. The cheapest version costs AUD 93,900, while the most expensive variant sets you back at AUD136,900. Each one comes with standard common features, adding as well different styling parts and engines under the hood. 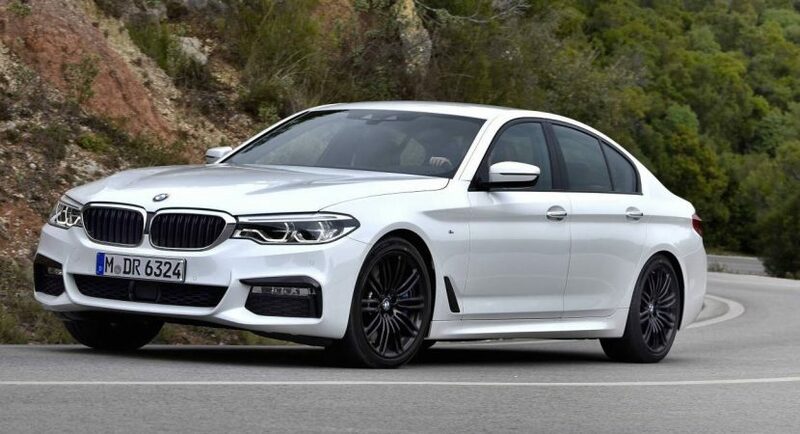 Speaking about performance, the entry-level 520d comes with a 2.0-liter diesel mill, which is extremely fuel-efficient and is closely followed by the 2.0-liter turbo petrol in the 530i variant. The latter one churns out 185 kW and 350 Nm of torque, enough to deliver a sprint from 0 to 100 km/h in just 6.2 seconds. The 530d on the other hand comes with a 3.0-liter straight six-cylinder diesel engine with 195 kW and 620 Nm of torque, while the top of the line 540i is also powerful with the 3.0-liter turbo petrol six-cylinder, with 250 kW and 450 Nm of torque. This one allows a sprint from 0 to 100 km/h in 5.1 seconds. Please find below the full prices, details and powertrains of the 2017 G30 BMW 5-Series in Australia, released by aussie PerformanceDrive auto magazine! BMW ConnectedDrive with access to BMW Online and BMW Apps for seamless third-party app integration (for example, Spotify). Also includes real-time traffic information, intelligent emergency call, TeleServices, Concierge Services and phone app-based Remote Services. The improved standard equipment equates to around $15,500 of added value when compared to the outgoing BMW 520d. The BMW 530i’s additional features add up to around $16,000 of added value over the outgoing 528i. When compared to the previous 535d, the BMW 530d’s increased specification equates to around $16,000 of additional value. The specification uplift on the BMW 540i equates to around $34,000 of additional value when compared to the preceding 535i.